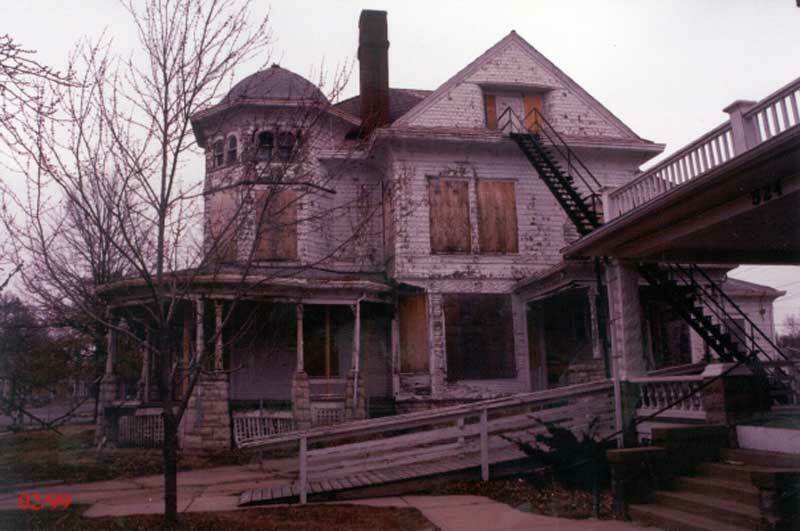 526 Union St in 1999, before the current owners began the restoration. I’ve hopped over the rainbow to Kansas today, where something tells me there’s no place like this 1894 home. 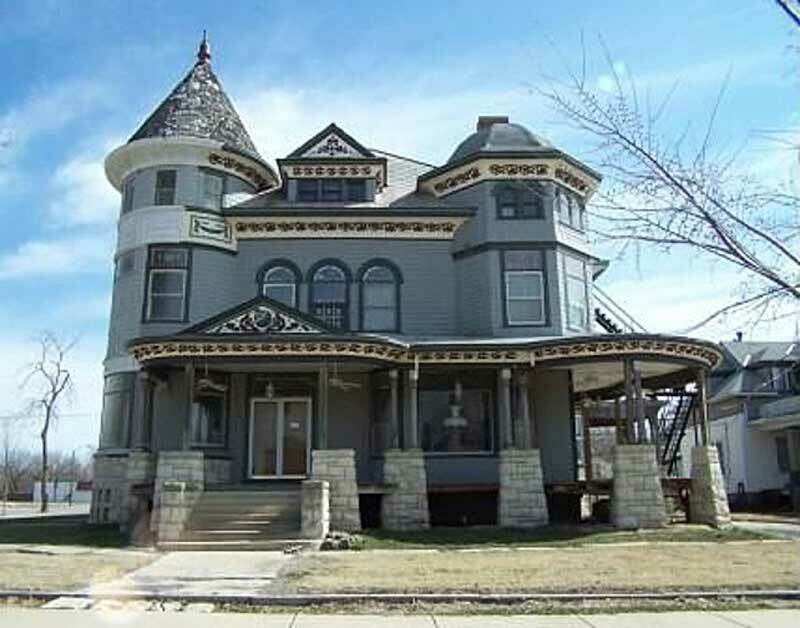 Today’s Queen Anne fixer-upper is in the city of Emporia, and I just couldn’t believe my eyes as I looked through one mind-blowing photo after another. Really, it just keeps going! This is a case of owners pouring their hearts into an intensive restoration job (see above for a photo of what the building looked like when they purchased it! ), and now needing new hands to pick up where they left off. The whole thing just makes my heart sing. Here are a few reasons why. Asymmetrical façades like this one give the eye a lot to take in, especially considering all those intact details. I can tell already that the rounded turret with its conical roof is going to lead to some pretty charming spaces once I get inside. This lady’s façade has begun her makeover thanks to some dedicated homeowners, but now she needs someone to swoop in and give her some touch-ups! The wrap-around porch is missing its paired columns over certain stone pedestals, but just enough exist for someone to replicate the rest. Can’t you just see a round table at that corner spot for some tasty outdoor meals? This home has served many purposes: from a frat house to a boarding house to Scott Mouse, Sr and Jr’s “Mouse Palace Hotel” (best name I’ve heard yet, folks). Given all this, I’m beyond thrilled so many original features survive. By the looks of it, the current owners have done an incredible job restoring those stained glass transoms, the tiled fireplaces, and the durable yet delicate Lincrusta wainscoting (a popular Victorian embossed wall covering). And what’s a glamorous Victorian house without a built-in butler’s pantry and a floor-to-ceiling china cabinet? Let’s also not overlook the main entryway vestibule, which boasts ornate door hardware and multi-colored floor tiles. Original hardware – now that’s something! Those columns, that staircase! Like the classic, grand Victorian this is, gorgeous woodwork enriches almost every nook and cranny. Oak, birch, and cherry – to name a few – are on full display from the hand-carved motifs at mantels to ornate door and window casings in almost every room. There are even beautiful pocket doors, too. And I might be swayed to pay for a landline again just to use the telephone room behind that solid wood paneled door. A telephone room, just how great are old houses? 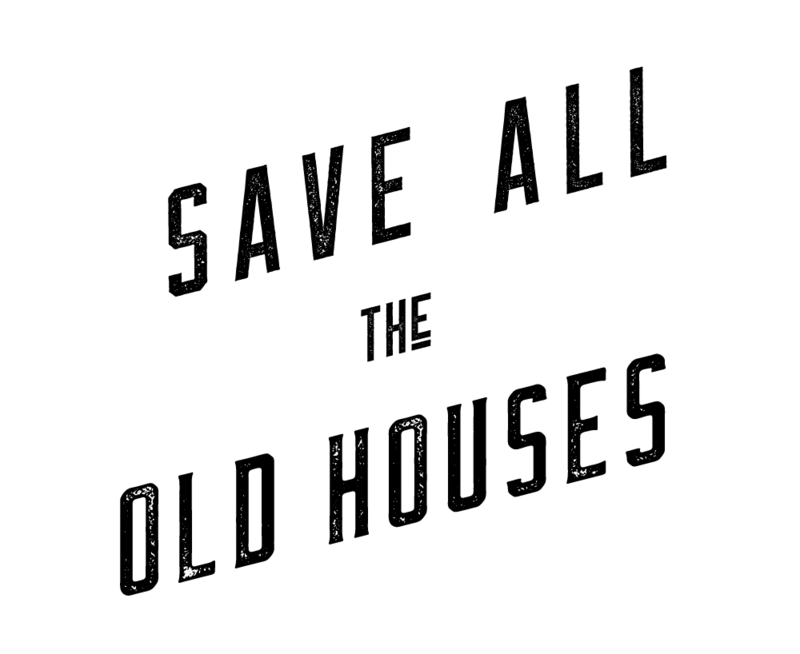 What more can be said: this house is a true love song to the craftsmanship of yesteryear. 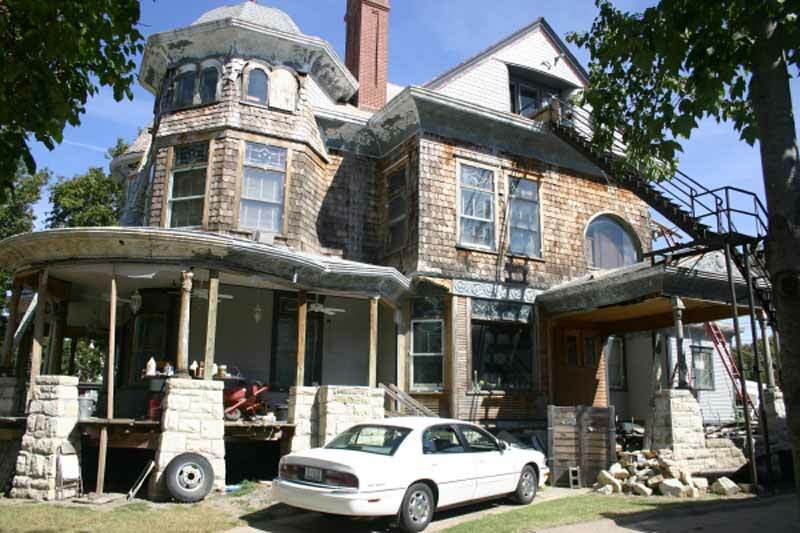 Known as the Cross House, and listed on the National Register of Historic Places, this grand old gal was built in 1894 for Emporia’s first mayor, Colonel H.C. Cross. Though he died a few months after construction finished – and his wife followed eight years later – I can just imagine their lifestyle through the elegant house they left behind. I’m envisioning the latest gossip in the receiving room followed by a fancy dinner in the formal dining room (hello, big bay window). Of course there’d be servants, too, catering to every whim and staying in their top floor living quarters. I know if I passed muster as a guest of Colonel Cross, I’d definitely call dibs on the bedroom with the attached sun porch. There are far too many photos to post here, but if you’re ready to roll up your sleeves you can head on over to Zillow to check out the full listing! 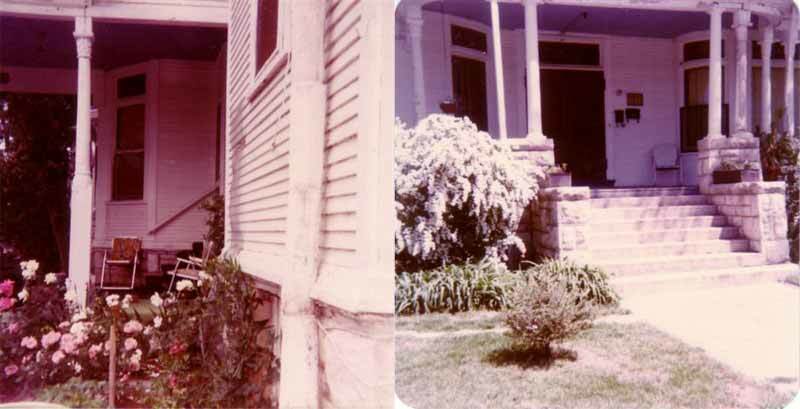 Bonus: Since the restoration is a work-in-progress, the fantastic owners have put together an incredible collection of images of the house over time. Below are some highlights; the full shebang can be seen on their website. I purchased this house in 2014. WOW – you are my hero, Ross! So excited to read all about it and share it with everyone!